The world is in our hands as we enter the third millennium. Humanity is faced with a daunting challenge to catch up rapid development. We seem to have lost sight of the deterioration of environmental system and resources. It is therefore an urgent need that we may diagnose this malady & adopt preventive measures. The awareness and concern for environmental issues and contributing positively to be a better, cleaner & greener habitat, is what Nature Saviour’s at Adarsh Public School aspire for. 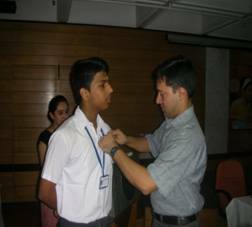 Investiture ceremony of Eco-Club for the session 2012-13 was held on 13th August 2012. Nitika Sharma was appointed as the President & R. Shrinivas as the Secretary of Club. They pledged to perform their duties with sincerity & dedication. 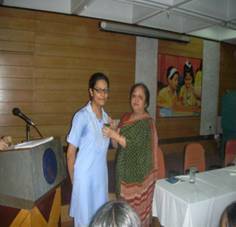 Principal of the School Mrs. Usha Sahgal & Mr. Prashant pinned badges to the elected representatives. In her speech, Principal Ma’am threw light on previous work of the club and motivated the members to have concern about minor environmental issues like use of paper bags instead of poly bags, switching off extra light when not in use not wasting water while brushing teeth etc. 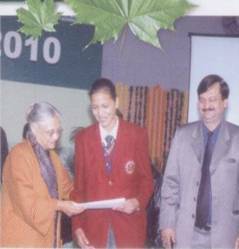 Eco-Club Incharge Mrs. Madhu Walia highlighted various achievements and awards received by APS green team in previous years and motivated them to continue zeal. To know whether our school is a good environmental manager, we decided to have 5 teams who could survey and explore about the use and management of resources in the school. Water team will explore about water consumption of school and how to save water. Air team will study about commuting practices of the school and how to reduce pollution level. Land team will study about the Bio diversity in the School Campus and how to protect them. Energy team will survey about the different ways in which energy is consumed and how to be more dependent on Renewable Energy. Waste team will survey amount of waste generated & segregated and amount recycled. It will also create awareness to generate less waste. The ceremony concluded with visit to small Exhibition on “Best Out of Waste” organized by Mrs. Amarpreet & Mrs. Anju Arya along with team members. The efforts put in by eco-club members need a special applaud. 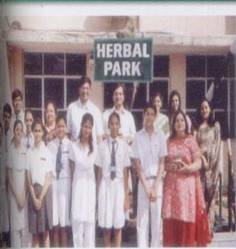 The ceremony was culminated by the students who nurtured the Herbal Park by manuring the small plants and removing dry leaves etc. & accumulating it on a pit for green manure. 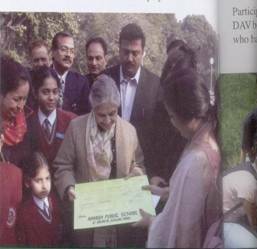 The zeal & enthusiasm of the young green force will definitely instill awareness about our school campus & will help in improving ecological well – being.